Marion K. Boreen, 89, Green Bay, passed away on Tuesday, January 15, 2019, with her family by her side. 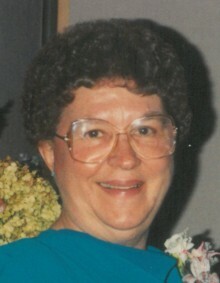 She was born on December 3, 1929 in New Holstein to the late John and Alvina (Schicker) Hoekstra. On July 26, 1952 she married Vernon Boreen in Shawano. Marion was very proud of her Dutch heritage, travelling to The Netherlands twice to visit relatives and see the sites. She enjoyed spending time with her grandchildren and loved fishing and sitting around the campfire at the cottage in Eagle River. She was a wonderful mother and the best grandma. Marion is survived by her children, Diane Jeanquart, David (Cindy) Boreen, Dale Boreen, Dan Boreen and Della (Roman) Mudry; grandchildren Matthew Boreen, Nicholas Boreen, Andrew Boreen, Natalya Mudry and Viktor Mudry; brothers, Melvin (Jean) Hoekstra, Tony (Janice) Hoekstra and Jack Hoekstra as well as nieces, nephews, other relatives and friends. In addition to her parents, Marion is preceded in death by her husband of sixty-six years, Vernon; son-in-law, Phil Jeanquart; sisters, Arlene (John) Koeser and Ruth Abrams; brothers and sisters-in-law, Howard (Viola) Boreen, Floyd (Doris) Boreen, Vincent (Edna) Boreen, Donald (Esther) Boreen, Kenneth (Edith) Boreen, Arlyn (June) Boreen, Gladys Boreen, Mildred Boreen and Marian Boreen. Visitation will be held on Sunday, January 20, 2019 at Lyndahl Funeral Home, 1350 Lombardi Avenue, from 3:00 pm until the time of the funeral service at 5:30 pm. Entombment will take place at Fort Howard Mausoleum. Expressions of sympathy, memories and photos may be expressed with Marion’s family on her tribute page at www.lyndahl.com. The family would like to thank the staff of Emerald Bay Retirement Community for all the care and support they have given during this time. In lieu of flowers, memorials may be given to Unity Hospice.